On the latter, the Lakers did hit 36.4% of their 3’s (12-33) but most of the success came in the first half (7-14) with their shooting hands turning cold in the final two frames. On the defense and rebounding side, the Wolves only hit 18 of their 69 two point attempts but really hurt the Lakers from deep (14-29) while also grabbing 20 offensive rebounds. The Lakers also fouled too much, sending the Wolves to the line for 30 attempts (to the Lakers 15 FTA’s) where they sunk 26. So, if you’re looking for why the team lost, the Lakers were outscored by 6 from behind the arc and 16 at the stripe in a game decided by 4 points. I can no longer do the calculus I learned in college, but my basic addition and subtraction skills remain intact, so there you go. So, again, the Lakers are 2-5. And while that’s sub-optimal (and Monday’s loss did, in fact, get me upset), I’m not here to bury anyone. Yet. You see, the Lakers hearts are in the right place. Too often, their bodies (and to a lesser extent, their minds) are not. And results have been some tough losses against teams who have either played more cohesively or simply been better in the tight moments to close out the contest. I can live with this. For now. I’ll just grit my teeth, take a few deep breaths, and then mute people on twitter. Life goes on. While I understand how this quote will be aggregated and pontificated on in the next news cycle, let me just say that I’m happy what LeBron is not saying here. He’s not saying his patience has run out. And that’s a good thing. Because more patience is needed. Don’t get me wrong, the Lakers are showing their flaws. And, as Bill Parcells was always fond of saying, you are what your record says you are. Right now the Lakers are a bad team. Their defense is not up to par and they foul too much. Their shooting is streaky. Their roster lacks balance and they could really use a swap of one rotation wing for one rotation big man. What I will not do, however, is ignore that there are positive takeaways even in the face of this (somewhat expected) rough start. The team is top 10 in offensive rating. They have crafted an identity of playing fast and are generating easy baskets in transition, ranking 4th in pace and 1st in frequency of transition plays per game. They currently rank 1st in the league in number of shots taken in the restricted area (43.4 per game — nearly 6 more attempts than the 2nd place team) and are 6th in shooting percentage on such shots (66.4%). Additionally, despite playing at the league’s 4th fastest pace, the Lakers have the 5th best turnover percentage. So, this is where the patience comes back in and it really relates back to two questions: can the Lakers play defense at least somewhat effectively while cutting down on their foul rate AND can they find a consistent and stable rotation which promotes the team’s best lineups while creating a hierarchy of playing time skewed towards the team’s best (and long term) players? As the season advances towards the quarter pole mark, we need to see how these things play out. If both of those questions are answered in the affirmative, I believe this team is going to take off and start playing to a level where the wins can come consistently. If the answer to these questions are no, the team will struggle with consistency and it will be time to re-evaluate the roster construction in order to better position the group so lineup decisions are more straight forward and the defensive ceiling can be raised. But the key here is time. The Lakers have played 7 games. 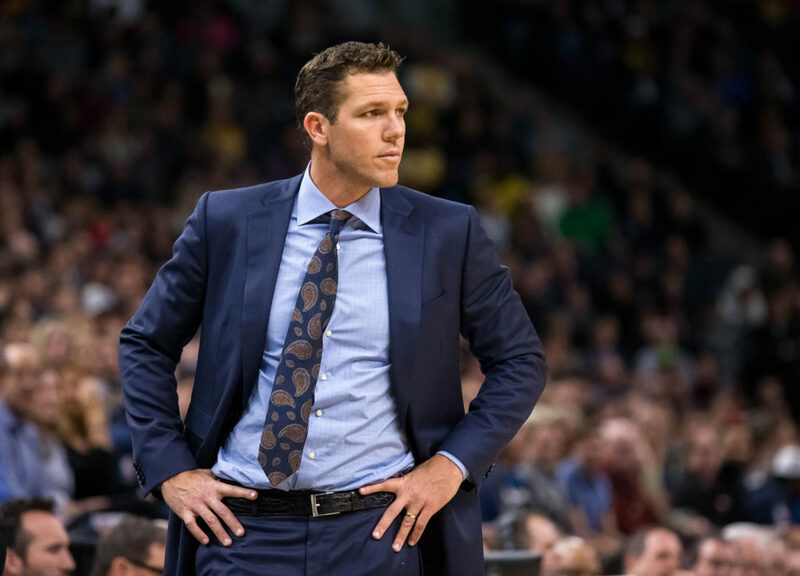 And as easy as it is to point at Luke Walton as some sort of scapegoat, he deserves some rope to sort out how to configure his lineups and determine a rotation with a team that turned over (again) by more than half. There’s work to do here and I’ll be the first to admit that I haven’t exactly liked how every decision has played out, especially in the micro sense of game to game and within the game management. However, he has made some changes early in the year that I’ve been board with too — he moved Lonzo to the starting spot, has moved KCP to the bench in favor of either Hart or Kuzma (while shifting Ingram between SG and SF), and has seemingly gotten away from using Kuzma as a small-ball C.
I would like to see more progress here, however. I think the Lakers best and most important players are LeBron, Lonzo, Ingram, Kuzma, Hart, JaVale, Rondo, KCP, and Lance. I think of those 9 players, the first 6 are the team’s “core” that should be closing every game in some combination (with the final spot being a choice between JaVale, Hart, or Kuzma). I think the rotations should be built with these 9 players as the focus and skewed heavily towards those first 6 getting starters level minutes and, again, serving as the closers. I think the other one to two rotation spots can be a mix of 2-4 players (Beasley, Williams, Svi, and Wagner – when healthy) that can be rotated based on matchups, how they’re performing in practice, general feel from the coaches, etc. I understand this can create some hard choices. And it may turn out that one of the KCP/Lance duo actually gets marginalized with this setup. But this is how the team is built and, despite wanting to play all these guys, something will have to give when there are so many wings on the team who are NBA quality players. This is where Luke’s job is hard — he’ll need to manage the locker room and maintain buy-in even when (if?) it means minimizing guys’ roles. But, this is the job. And while I’m more than happy to give him the time he needs to sort through all this, that clock is ticking. It’s the nature of a season that, even if absurdly long, has already started; the jockeying and standings watching are, if not a full on thing right now, are the verge of it and it’s not even November yet. In other words, yes, it’s time to be patient. But maintaining patience is almost always predicated on the promise of progress. So, if nothing else, the team needs to start showing more of that sooner than later.